The Journey Continues…Float 4... - Free Spirit & Mind! For most people they do not grow up with the plans of becoming addicts. It is not as if one day they wake up and say, “Oh hey I think I’m gonna become addicted to something so that all my thoughts, actions and behaviors orbit this one obsession…” No that is not how it is. For most addicts there is something that triggers drug addiction. It can be anything from disturbance in family life, school, peer pressure, traumas, predisposition, environmental factors etc. It is vital for an addict to understand where their addictions arose. If an addict wants half a chance to remain abstinent from their drug of choice, they must come to terms with their inner demons. Coming to terms with inner demons is not a “Cure-all”. It simply is one of the many tools an addict may utilize to remain clean. In order to become healthy and remain sober an addict must acknowledge the past. Accept and forgive choices and mistakes made. This includes people in their lives and is one of the steps to the 12-step program of A.A. The addict is forever in a state of metamorphasizing. Similar to how the caterpillar goes through several stages to become a butterfly, the addict must relearn how to live. An addict changes themselves entirely, their morals, values, belief systems, how they view the world, how they live, breath, eat, drink, the people they choose to surround their selves with etc. Typically this happens at the beginning, during addiction and in the recovery process. Recognizing triggers, acknowledging traumas and embracing pains are some of the inner demons I am referring to. These are also some of the inner demons I am currently working on coming to terms with. I have practiced many things to understand, accept or relive my traumas. Some of these worked and some of these didn’t. Therefore in this float I will try a meditation technique I learned in one of Jere Friedmans Gong baths. This technique is known as Holoenergetic Healing. What I will do is visualize myself in 4 stages of life (typically it is 3 but I felt more comfortable with four). 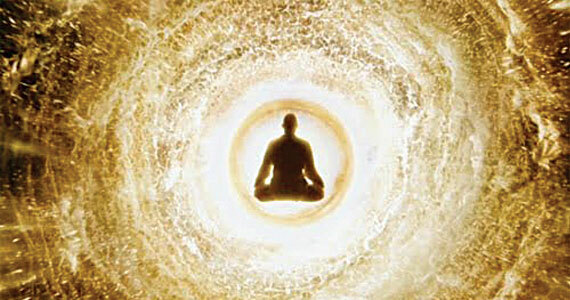 In the meditation I will envision all 4 selves standing in front of myself. I will attempt to remember, relive and work through all of the traumas. I will whole-heartedly feel how I felt in each stage of life, during each trauma and in each memory. I will then forgive each self and tell them that they were not at fault and that they can forgive themselves for all that they went through. Finally I will hug each self and ask them to let go of the pains, self doubts and fears. As I breathed out the pains of each self I literally felt the negative energy being released through each appendage. It felt as though waves of energy & light shot like lightening bolts from my being… It couldn’t have been more perfecting timing as the music kicked in to cue me the float was almost over, I was hugging myself and bidding them farewell. I felt so much peace as I watched each self turn around & disappear into the forest. This entry was posted in Float Pods, Home, Meditation and tagged float pods, Holoenergetic Healing, tru rest float spa, true rest. Bookmark the permalink.